The Prescott Chamber Orchestra is a non-profit 501(c)(3) organization. Ticket sales alone cannot meet the expense of operating the PCO. We ask for your support as a fan of “classics” so that the PCO can continue to grow and thrive in Prescott. We invite you to make a gift this year to expand the support this 33 year-old Prescott treasure of musical excellence deserves. All donations are tax deductible. We sincerely thank you! Your contribution is an important part of our annual operating budget. It will allow us to continue offering fun and exciting performances and to invite some of the many talented guest musicians. Additionally, it will help us finance student performances and scholarship awards. All sponsors may request what aspect of the PCO they would like to support. We will make every effort to steer the donation to that part of the budget. Donations of over $10,000 are treated as special cases, and will be dealt with individually per the wishes of the donor. • Listing on the PrescottChamberOrchestra.com Contributor’s Page as a Special Guest Artist Sponsor with link back to your website. Underwriting: Orchestral sheet music purchase and/or rental to be performed in one concert. 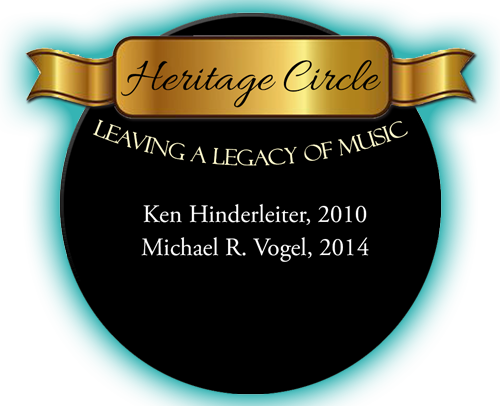 • Listing on the PrescottChamberOrchestra.com Contributor’s Page as a Concert Music Sponsor with a link back to your website. Underwriting: Scholarship donations provide monetary support which may be applied to music instrument purchase, private lessons, music camps, workshops, and/or higher education. • Listing on the PCO Website Contributor’s Page as a Scholarship Sponsor with link back to your website. PCO is a 501 (c) (3) non-profit organization. Your gift is fully tax-deductible to the extent of the law. IRS law requires us to state that you received nothing of value in exchange for your contribution (other than our sincerest gratitude, and written acknowledgment in our printed programs and on our website).